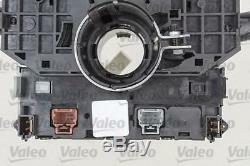 VALEO 251494 - Steering Column Switch. 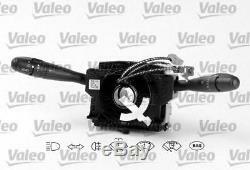 Parts: VALEO 251494 - Steering Column Switch Colour: Black Supplementary Article/Supplementary Info: with airbag clock spring Combi Switch Function: with light dimmer function. CITROËN 6239Q0 CITROËN 624232 CITROËN 6242XX CITROËN 96446859XT CITROËN 96446859ZL CITROËN 96509714XT CITROËN 96530923XT CITROËN 96574404XT CITROËN 96605678XT CITROËN 96787376XT ERA 440310 FEBI BILSTEIN 34927 PEUGEOT 6239Q0 PEUGEOT 624232 PEUGEOT 6242XX PEUGEOT 96446859XT PEUGEOT 96446859ZL PEUGEOT 96509714XT PEUGEOT 96530923XT PEUGEOT 96574404XT PEUGEOT 96605678XT PEUGEOT 96787376XT SWAG 62934927. CITROËN BERLINGO Box (M_) Box [07/1996-] Electric [07/2003-] - cc - 27 kw - 37 ps - CITROËN BERLINGO (MF) MPV [07/1996-] Electric [01/1998-] - cc - 28 kw - 38 ps. 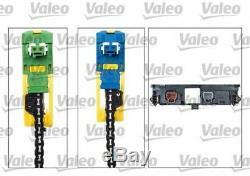 The item "NEW VALEO 251494 Steering Column Switch with light dimmer function" is in sale since Tuesday, August 14, 2018. This item is in the category "eBay Motors\Parts & Accessories\Car & Truck Parts\Interior\Switches & Controls". The seller is "autodetuk" and is located in Tallinn. This item can be shipped worldwide.